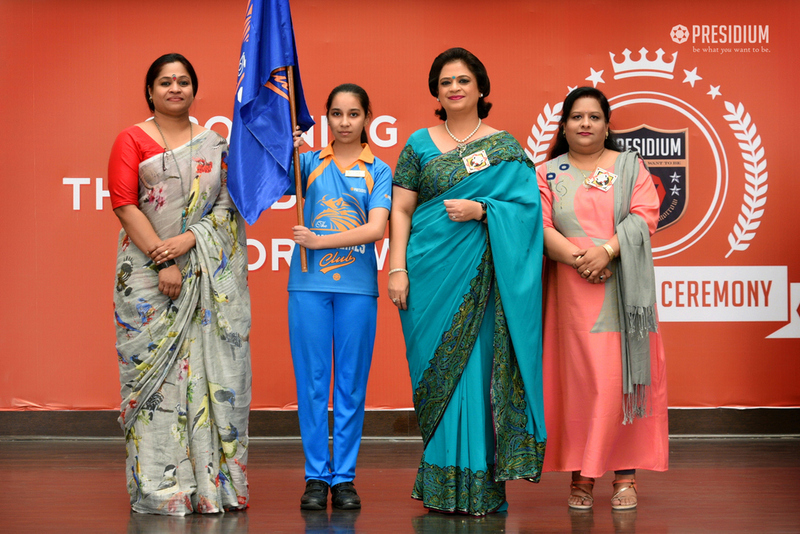 INVESTITURE CEREMONY 2018: CROWNING LEADERS OF PRESIDIUM! 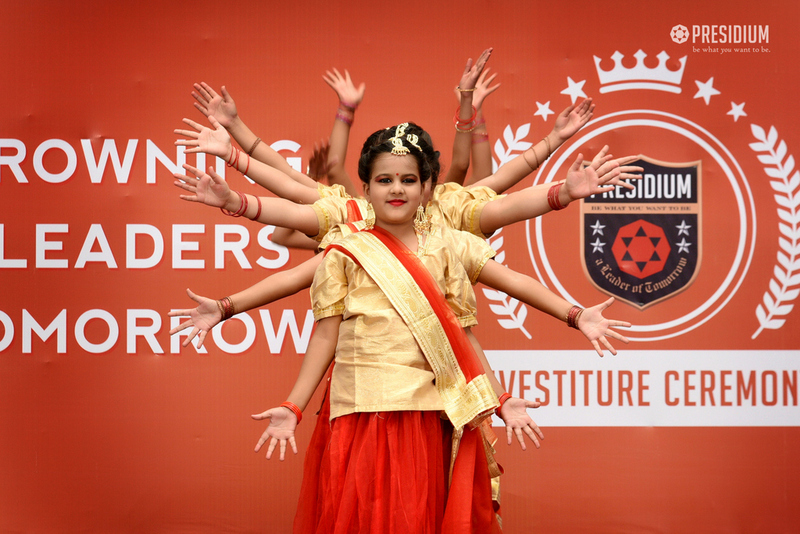 HomeNews and UpdatesInvestiture ceremony 2018: crowning leaders of presidium! 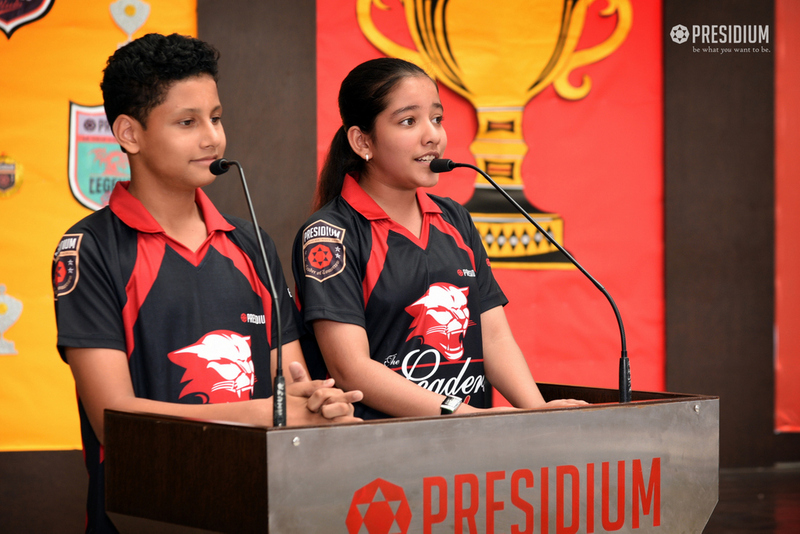 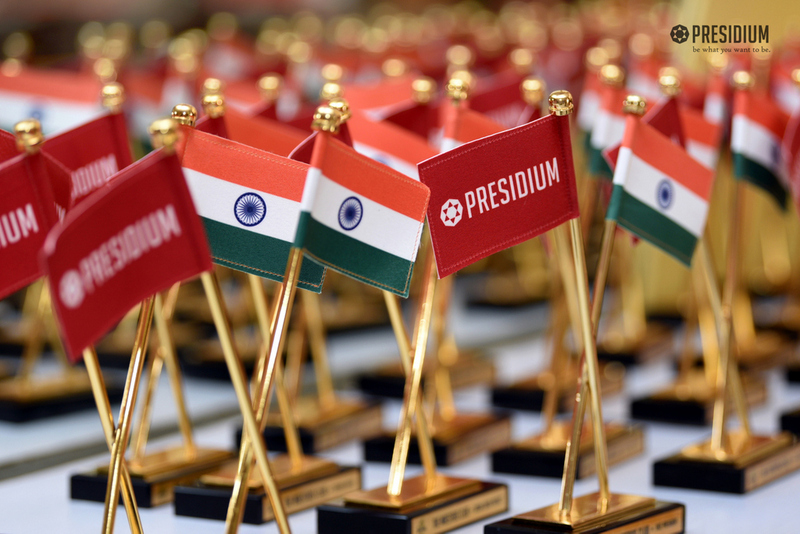 Presidium aims at the overall development of the students’ personality by encouraging them to explore, identify and hone their innate skills and talents. 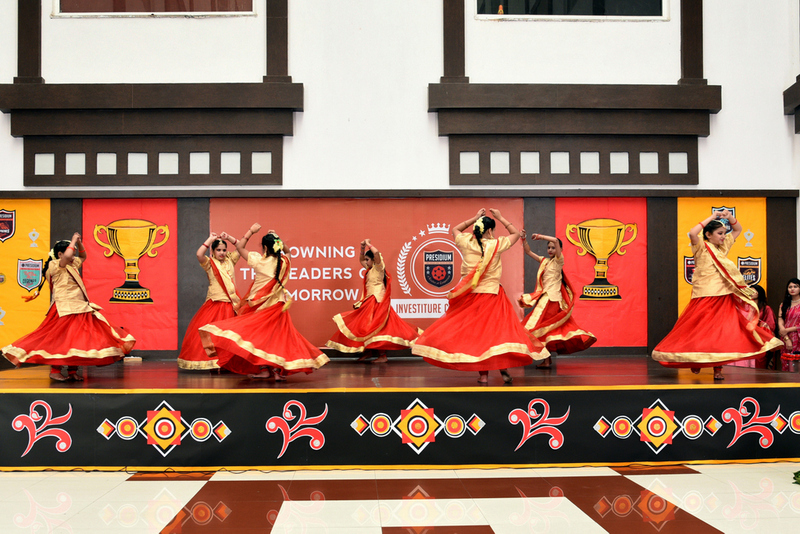 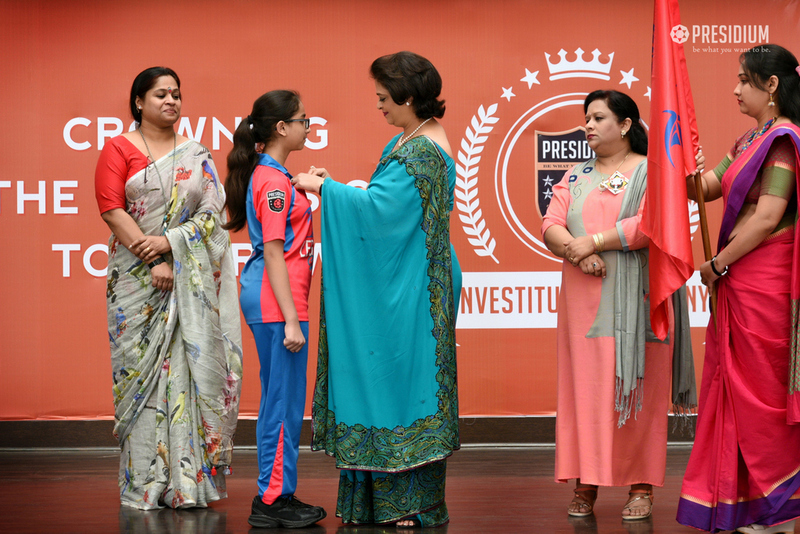 Throwing light on the leadership skills of our Presidians, we recently conducted the Investiture ceremony which marked the formation of the student council. 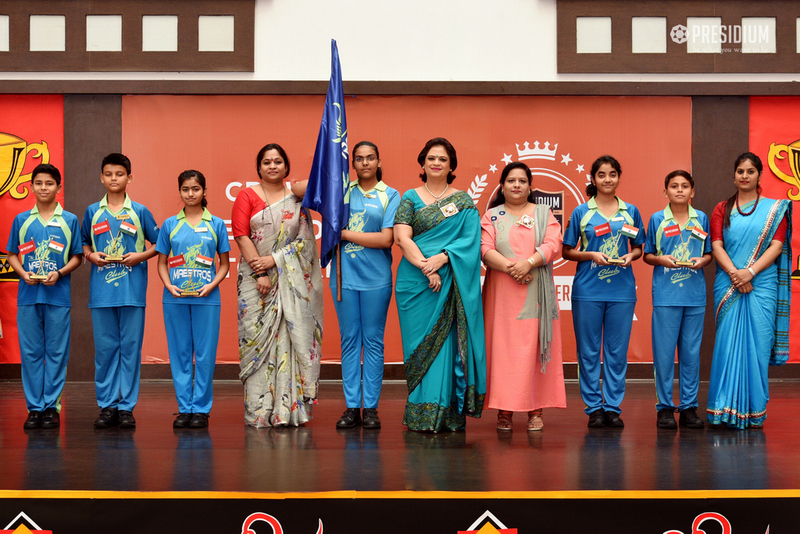 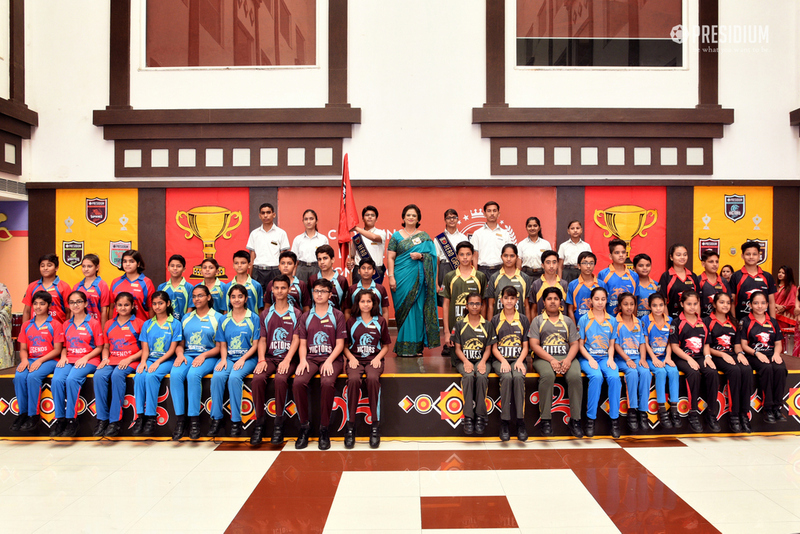 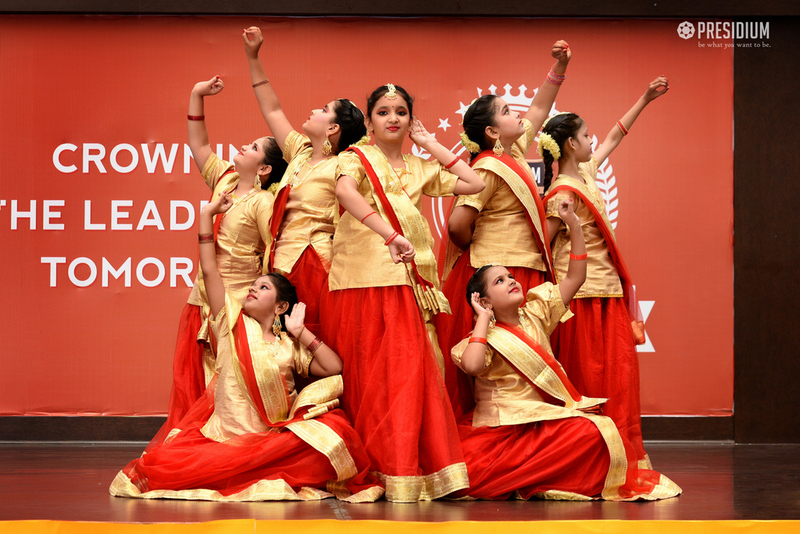 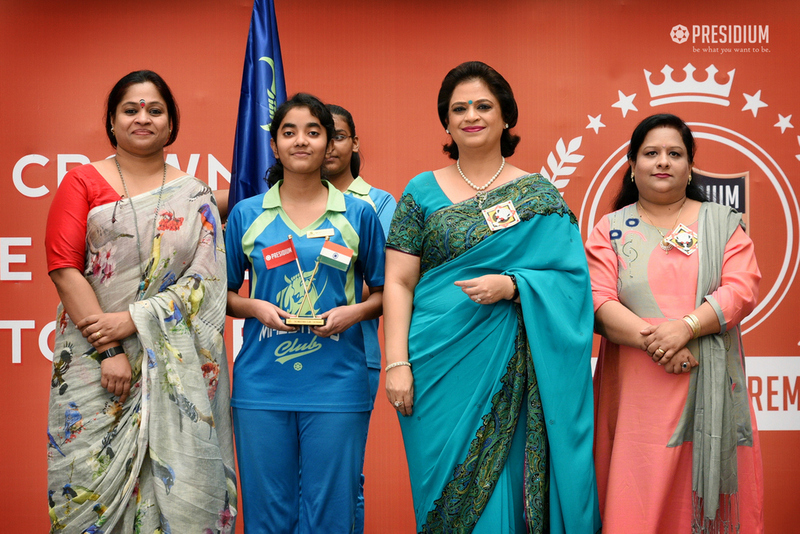 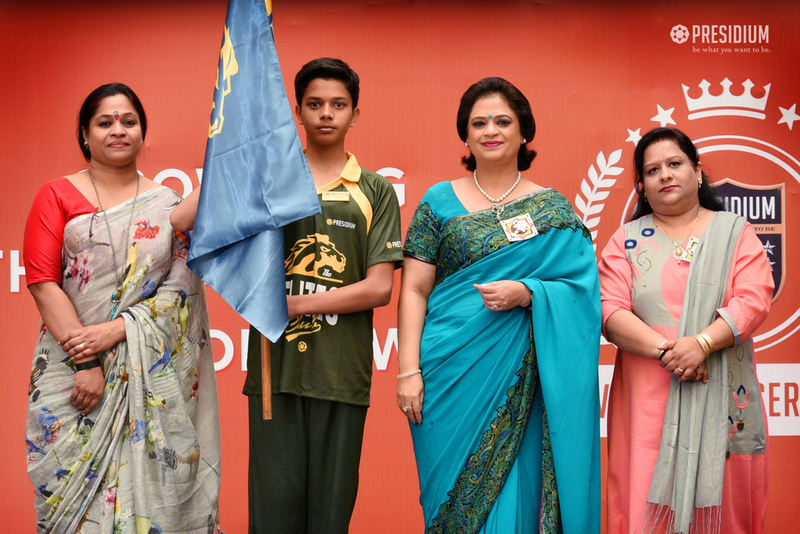 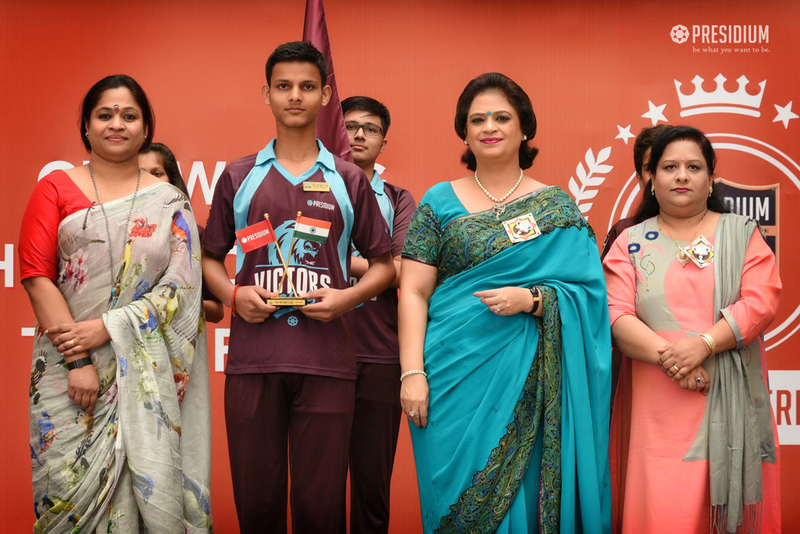 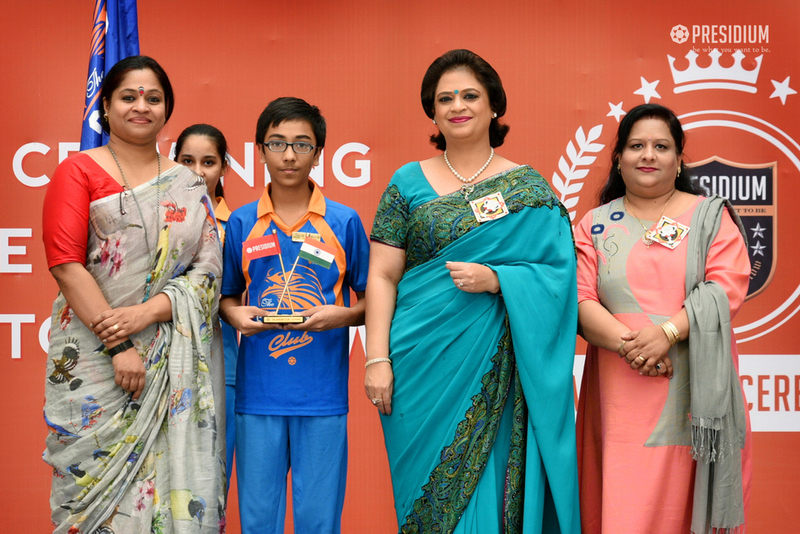 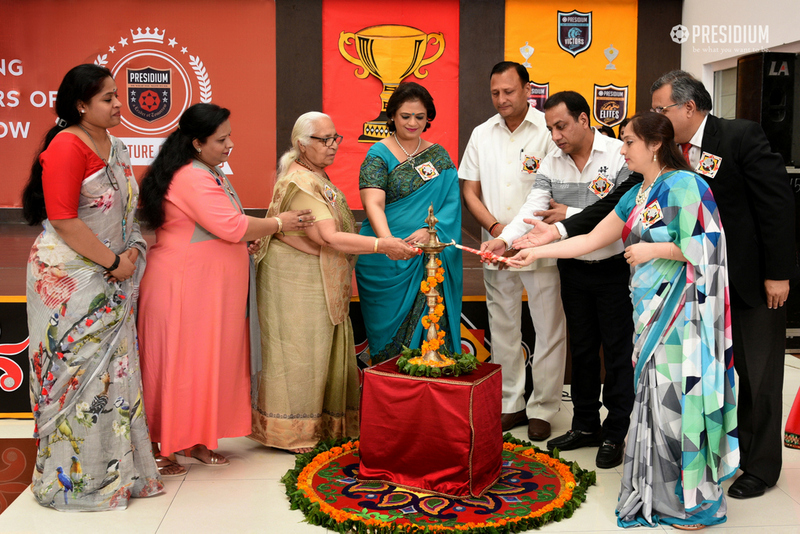 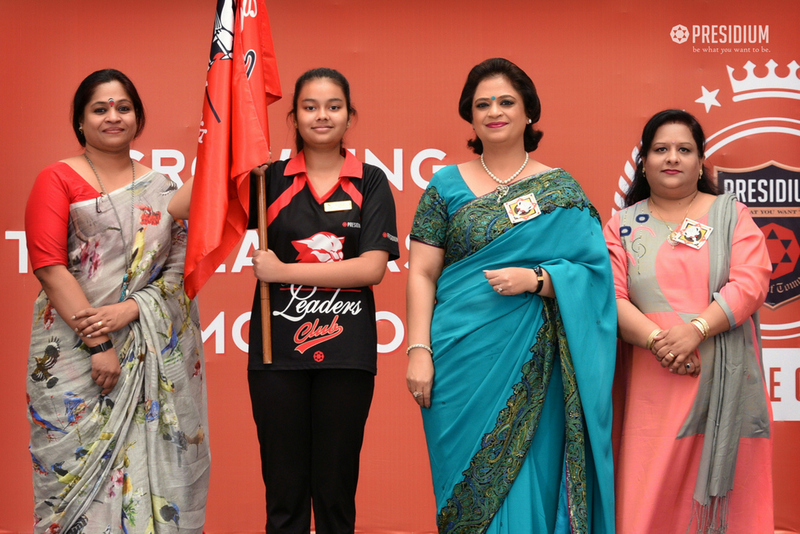 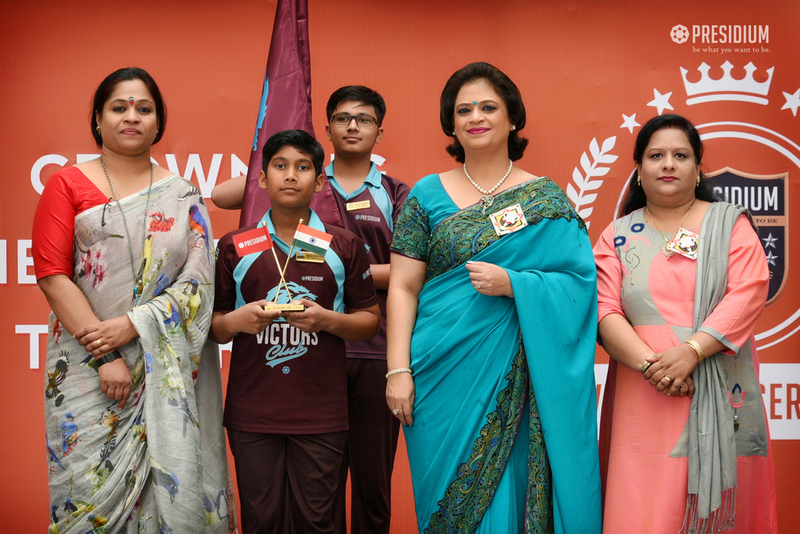 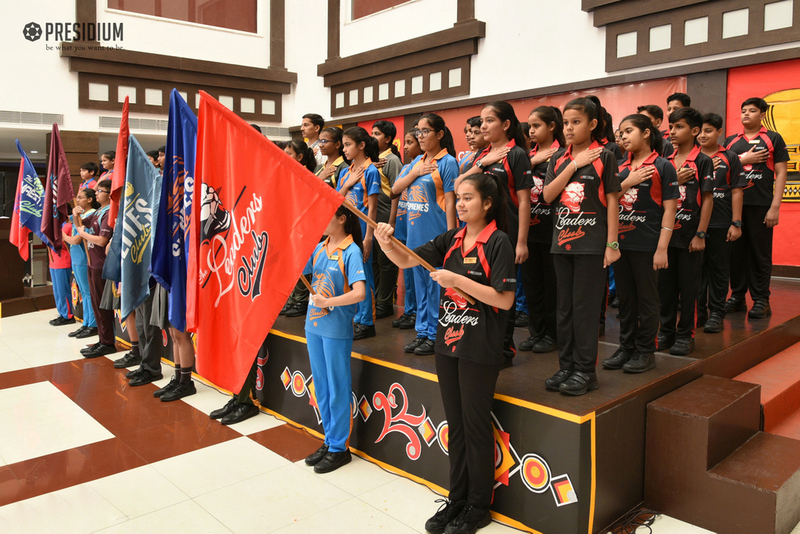 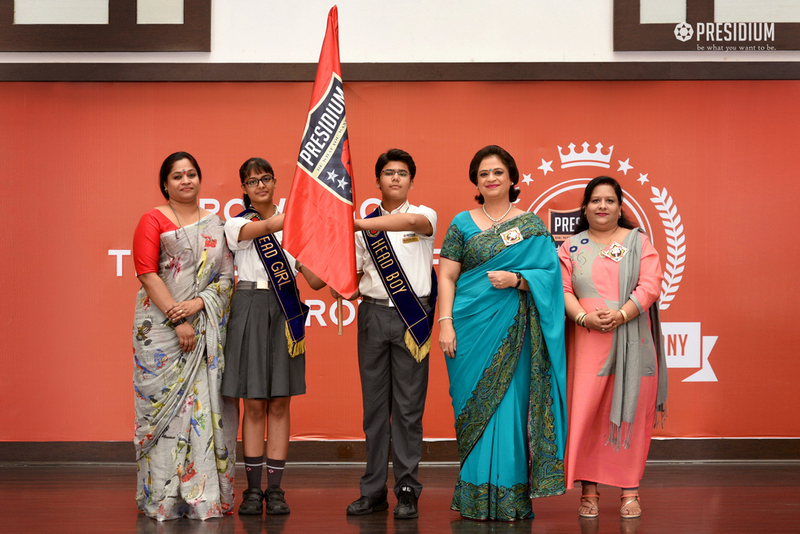 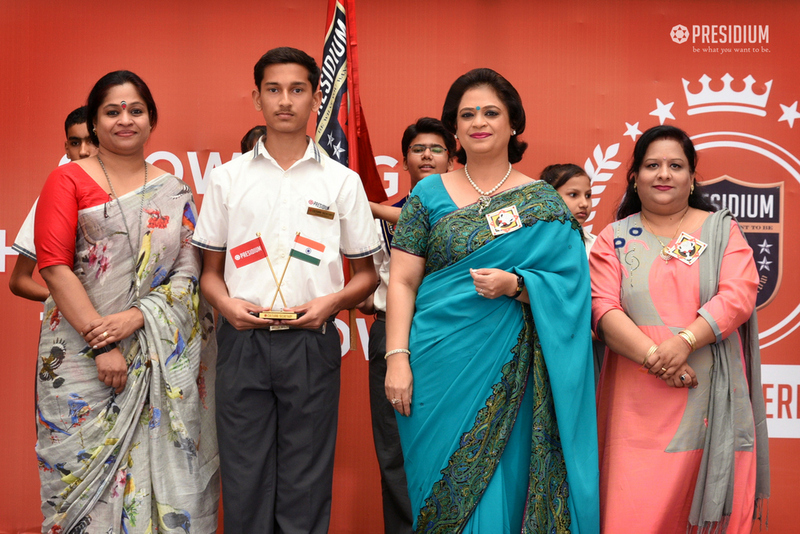 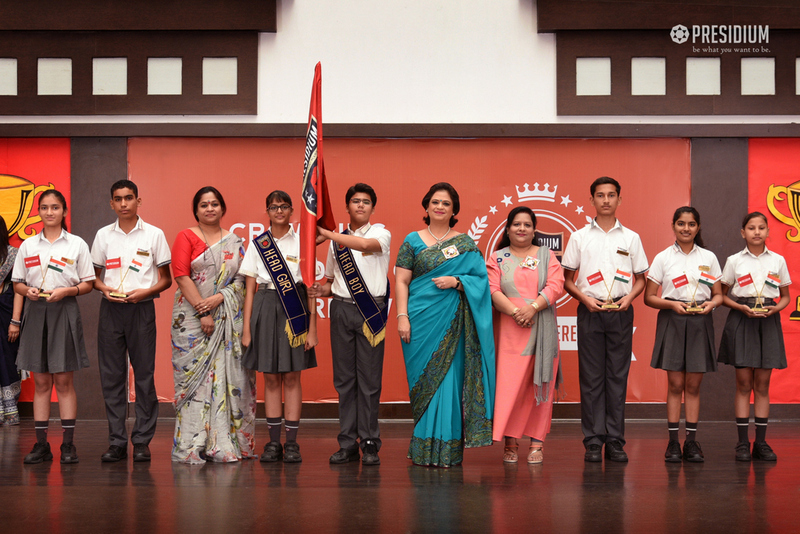 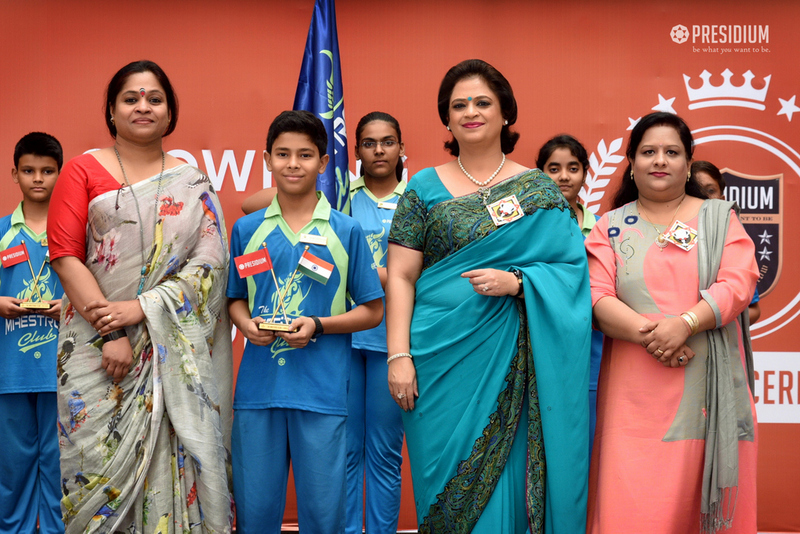 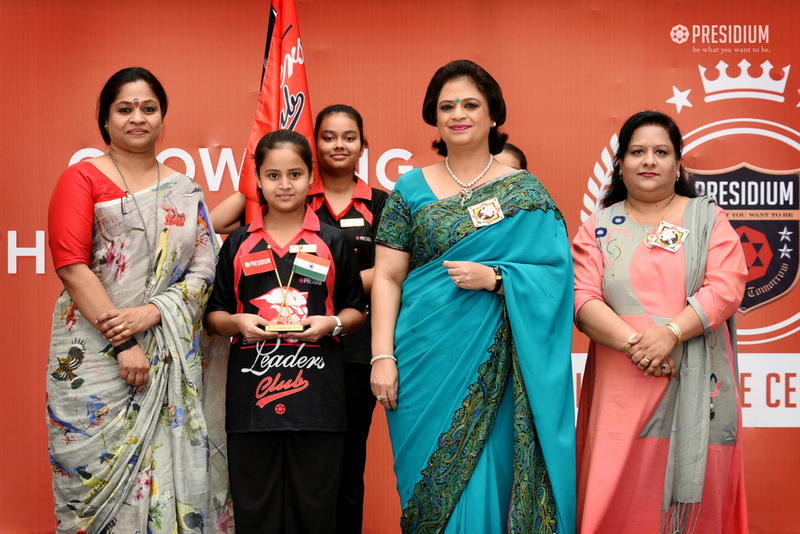 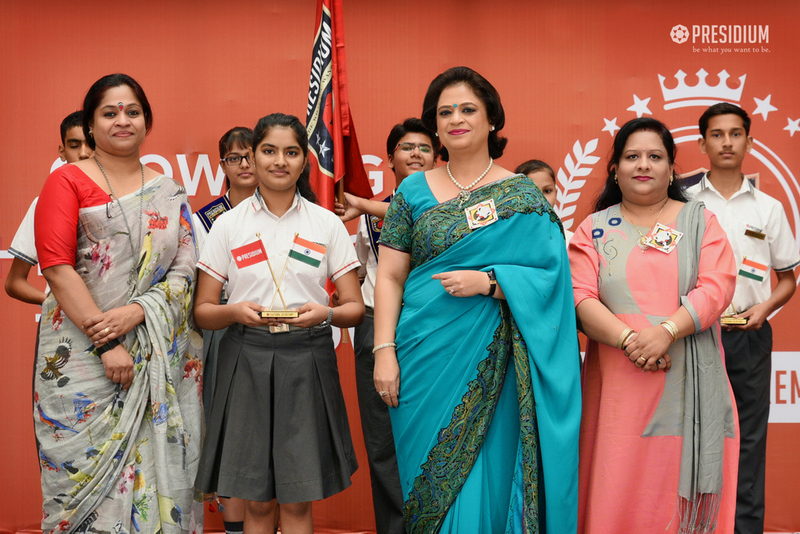 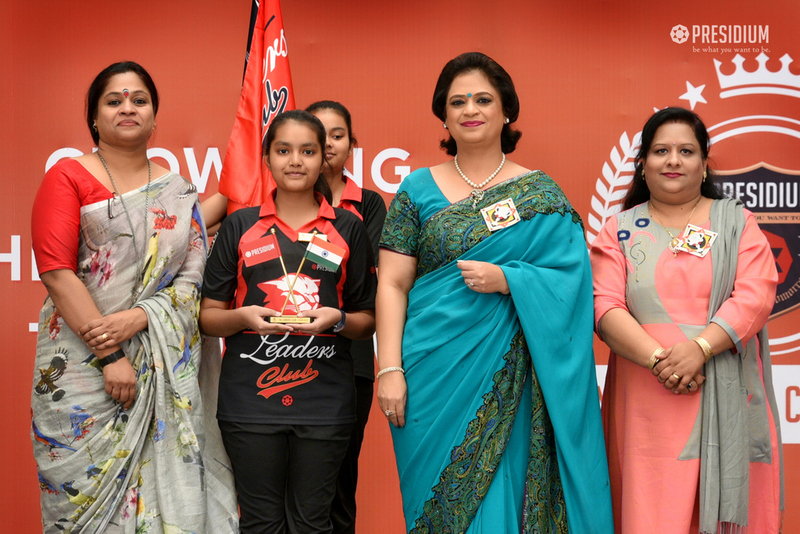 The event was graced by the presence of our honourable Chairperson Mrs.Sudha Gupta who bestowed the students with titles such as the head girl, head boy, sports captain, etc. 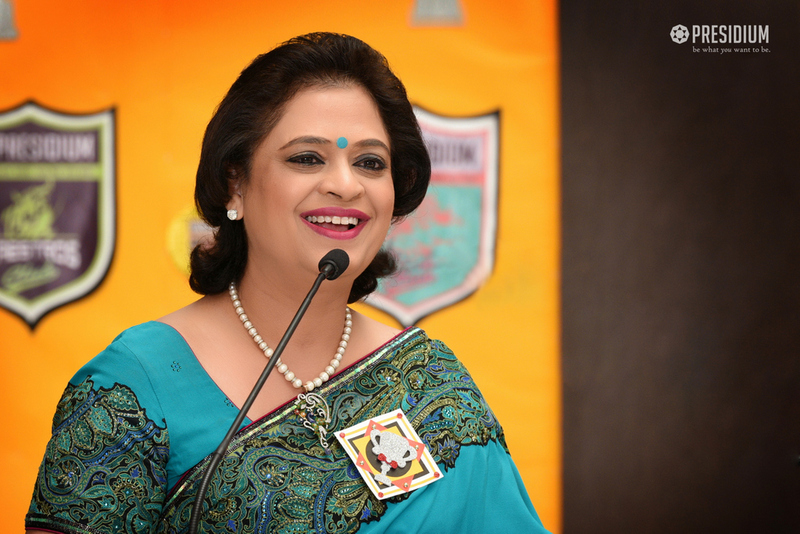 Being an epitome of perfect leadership herself, she entrusted the students with the power to uphold the values and principles of the school with honesty and determination. 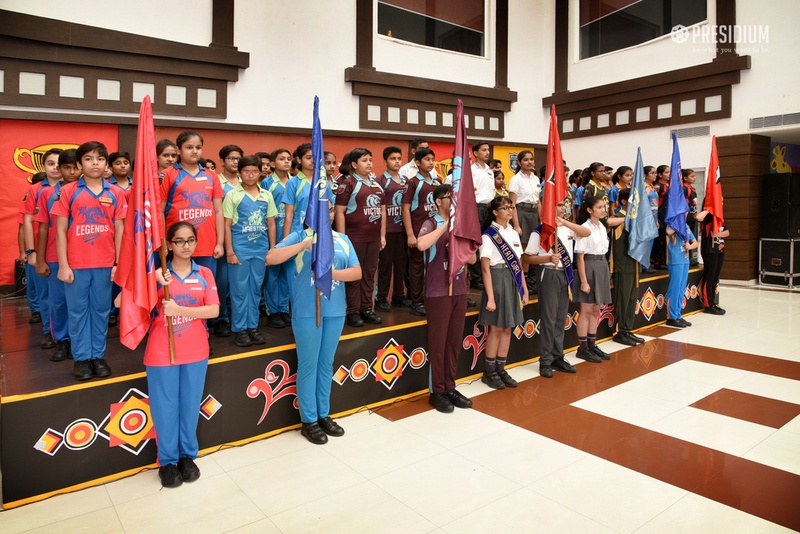 With their head held high and hearts filled with gratitude, the students thanked the school for giving them this lifetime opportunity.